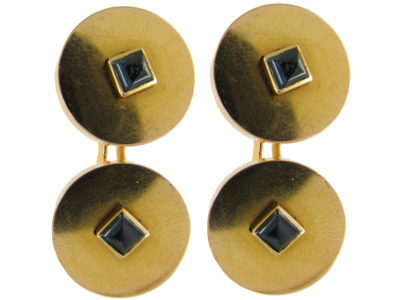 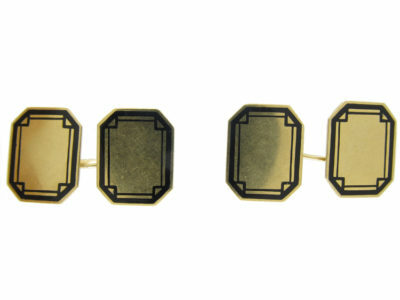 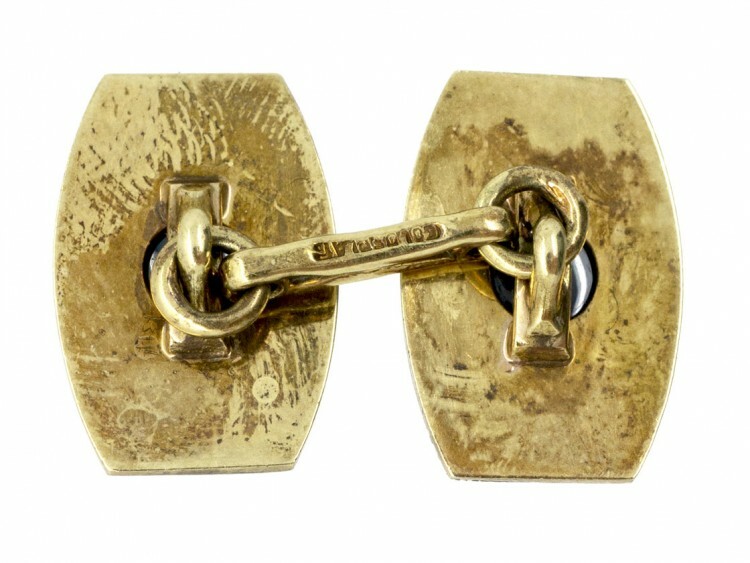 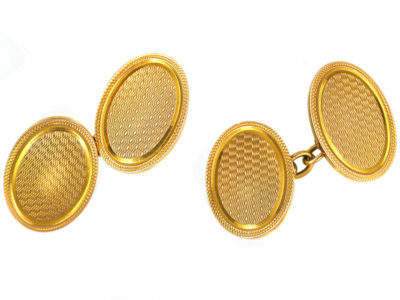 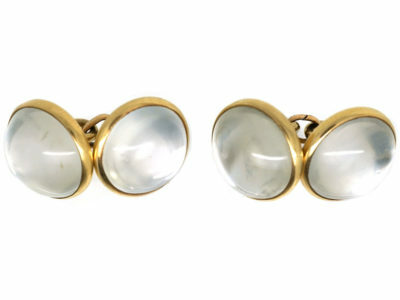 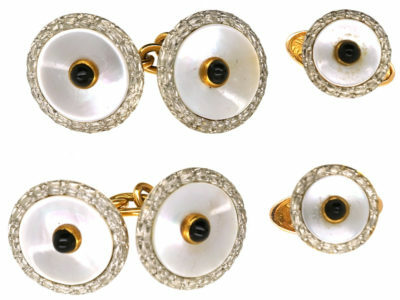 An unusual pair of 18ct gold Art Deco cufflinks. 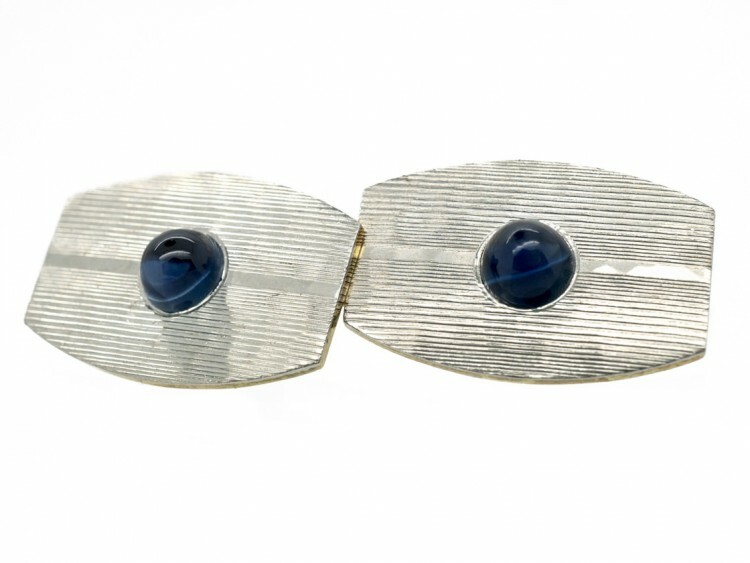 The platinum top has a typical 1920s striped design and it has then been hammered to give a cell effect. 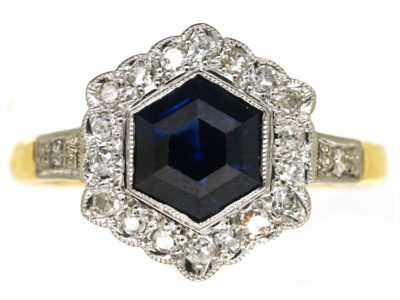 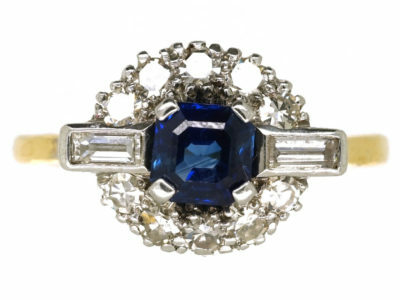 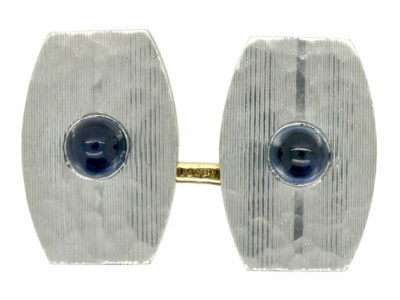 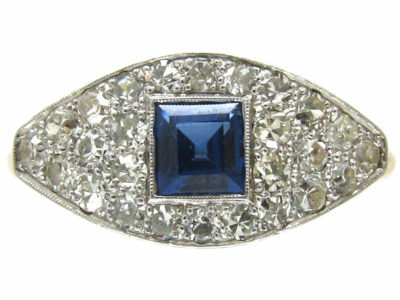 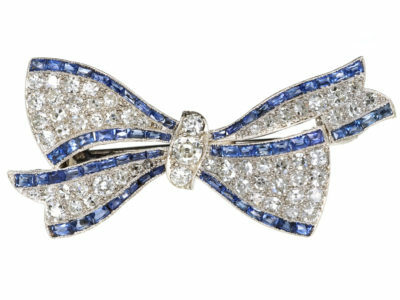 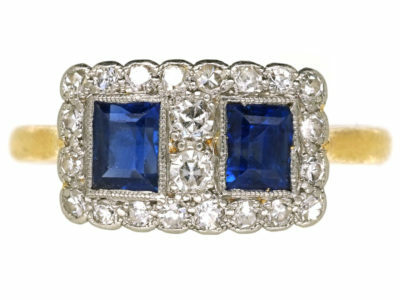 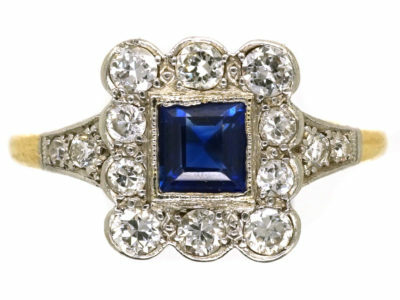 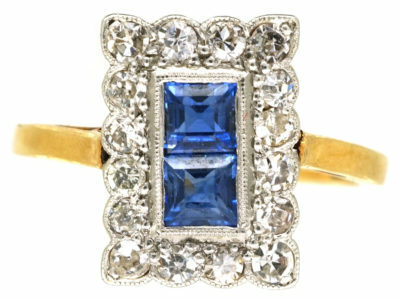 The well matched sapphires are cut “en cabochon” to complete the look.